Have had to Uninstall Reinstall on my iPad several times because an issue would just plain old not download. It is slow too. I will not renew subscription via My Favourite Magazines if I have to use this app only. There are other ways to read the magazine digitally. Possibly one of the worst mag apps on iOS! Had to delete app and redone,old content as one was stuck in the "queued" position for days. Terrible service! Did the automatic renewal and paid. Haven't been able to access the magazines since. Contacted Apple. They told me they couldn't help and to contact Favourite Magazines. They in turn told me they couldn't help and to contact Apple. What a joke! I'm done with this magazine. Online edition always a week or two behind print edition hitting stores. But hey, you get a badge once a week to buy all the back issues. 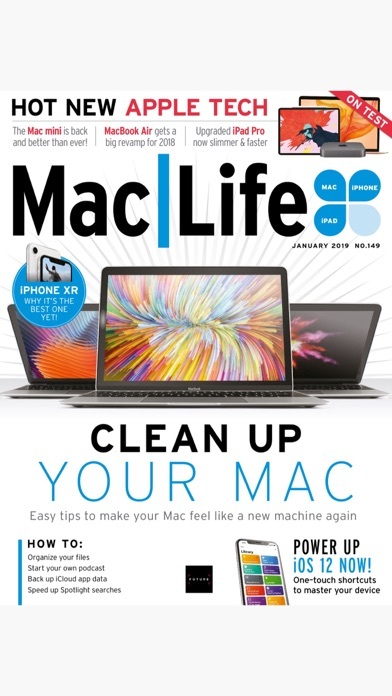 I've been reading MacLife for years. The electronic version works perfectly. I don't see the need for the various scrolling options, except to demonstrate the programmer can make neat things, but even that little peculiarity doesn't detract. I have zero complaints about the excellent content, though sometimes too game oriented. If I were to find fault with one thing, and this would NOT detract a full star, it would be there is NO button to unsubscribe, or easily located number allow me to unsubscribe. I'm not going away, but it sure would be nice to know I could do it without having to spend a great deal of time searching for it. This tiny feature may, ultimately, make me go back to the paper subscription, which will lead to the magazines again littering my home. Thanks for a near perfect product. App is broken with 9.3.2 iOS update. Works great normally. Normally great but not updated. Can't even open the app at all. Shows red one all time on my iPad Pro. All issues downloaded. That I have purchased. No clue what it represents! Not sure I am reading a complete issue. Confusing on layout of magazine. I've been using this app for years, love it! This app is both sluggish and unnavigable. 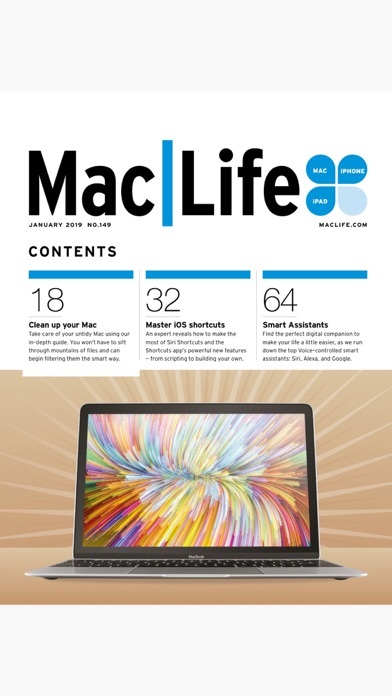 I love the MacLife content, but sometimes I need page numbers from the magazine and can't find them. Also, I paid for a subscription and don't really like the prompts to purchase other magazine subscriptions. I expect that from a free app, not one I already pay for. Good content, assuming you can get access to it. I've downloaded issues and had them disappear numerous times. The magazine downloader is crap and takes an insane amount of time. If I could export the issues I paid for to iBooks I'd be so much happier, having to deal with this app can be a hair pulling experience. For some reason the app crashes when I click on the icon to read my issue. Hopefully they can fix it or I will be forced to cancel my subscription. Whatever you do not purchase any magazines from this app because you can not read what you have purchased. Informative and freebies and cheap compared to other Apple related magazines. I am an active subscriber until june 21sr 2016 (i know i paid and this is actually the status on my Apple accoun) but IT is asking for me to Pay for current magazines issues. Plus support does NOT work. How am i suppose di to get those issues or my money back? Very good app, I just wish it had other options like highlighting and bookmarking. That would make the app a lot more useful. Overall the graphic design and contents are excellent. True transition from the printed page. Easy to read fonts. Superb navigation. Remembers where I was in a magazine. 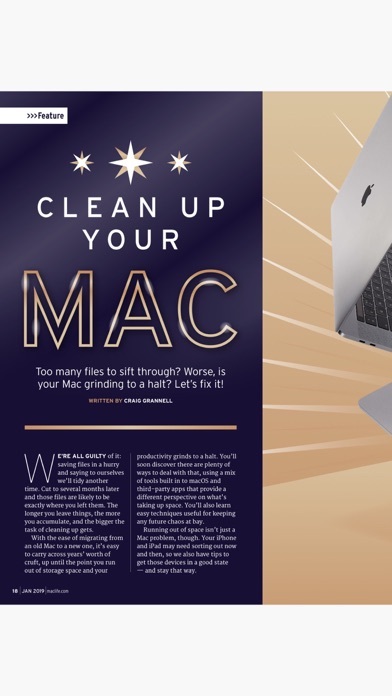 The Mac Life Magazine application is about the most perfect medium you can experience when reading about Apple related news. For starters the design and effort put into this application is noticeable from the start. Like most apps you receive a tutorial diagram on how to navigate upon first use. When reading content or coming upon a article the app becomes reminiscent of presentation software such as PowerPoint when the heading glides across the page. It gives a cinematic flair to the reading experience. Of course an application like this is takes advantage of the resolution and content is rendered in high gloss images and easy to read text. 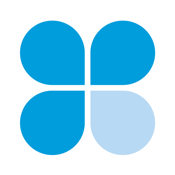 The design takes into account quality of image as well as navigation and user functionality. Even advertisements you look forward to viewing. All content is placed in areas that make it easy to read, notice and expand upon. Each page is equipped with cues to aid in your page navigation whether you are supposed to swipe forward to the next page, scroll down to finish a page or zoom back to the top at the end of a article. Up top on the left you will see page numbers for your current article so you get an idea of how much you have to read. A quick tap to the bottom of a page will bring up the control menu and from here you can perform all actions. Actions include glimpsing the index, locating where you are currently at in the index as well as the ability to share pages by way of e-mail or social networks such as Twitter and Facebook. In magazine functionality also includes being able to purchase items straight from a page. Readers of the physical edition can expect to see all the content they are used to and more. In terms of magazine management Mac Life does a great job as all Future publications apps do in allowing you to easily purchase single issues, subscribe to six month periods, quickly download and archive issues when you are finished with them as well as check your news inbox and contact support for help if needed. The application can also be set for push notifications for when back issues are set at half price or the ability to purchase all back issues are reduced. If you are a reader of the magazine you can't go wrong by incorporating the digital edition into your reading lifestyle. 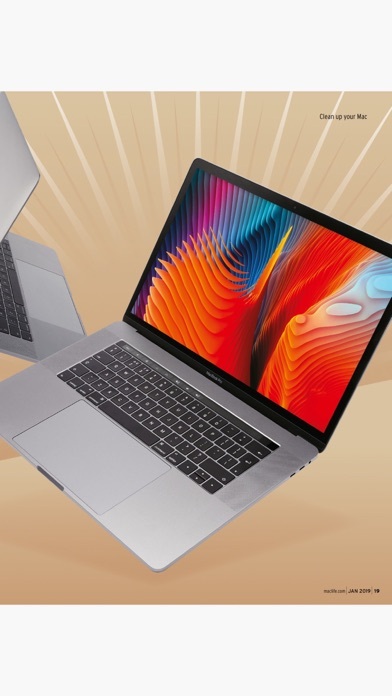 Arguably the best Apple industry publication already, the application only works to further this statement with the interactive reading experience provided and the option of managing all of your Mac Life content from the marketplace. Like every other person who's posted a comment, there are lots of issues that need to be addressed. I also would suspect some refunds. Considering you're a stand up magazine correct? When the app works, it's great. The new version is a continual crash, everytime, instantly, without fail, it crashes. This needs to get fixed, but the problem seems to be diligently ignored by the developer. Great articles and info. Just miss the old editor. They need to bring him back. I can live with all the pop up adds selling the subscription but when I pay for a magazine, I expect to get more than just 25 pages out of a 116 page magazine. This app seems buggy. I can not recommend it. If there are any problems, customer service is non existent. Like others say, content is good but app is poorly executed and limited. Codes for "reward" downloads don't work. The print edition is easier to use/read, but unfortunately you still have to deal with the non existent customer service. Needless to say I will not be renewing. I pay for my subscription...stop trying to sell me stuff. I get a new notification everyday to by old issues. Stop already. Like others have set its surprising how crappy the experience of this app is. None of the content is designed for consumption on mobile. Makes reading the articles more difficult. Informative but articles lack depth. App broke with the new update. Cant read anything. Love your review. Keep it this way. I cannot read magazines in landscape orientation on the iPad Pro. With the keyboard connected, only landscape mode is useful. Needing to detach the keyboard and find a different stand every time I want to read a magazine with this app seems ridiculous. 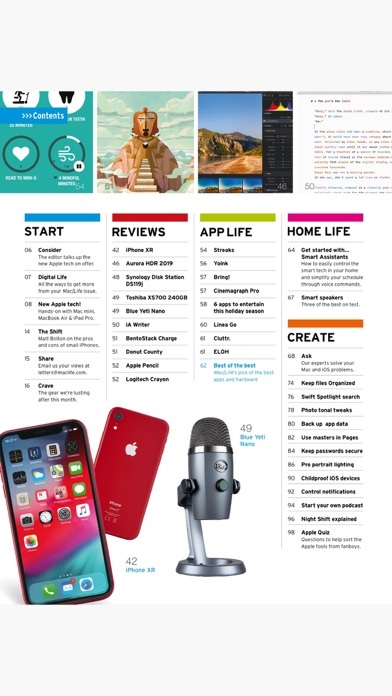 Other magazine apps work in both landscape and portrait mode, so this one should be able to also. Love the magazine and love all the tips. This digital magazine is gradually improving. I've given up on the app. You can't download issues. It sows as queued.